Presented in conjunction with the exhibition Hippie Modernism, the ongoing series Counter Currents invites a range of individuals and collectives—from artist-archivist Josh MacPhee and artist Dread Scott to Are.na and Experimental Jetset—to share how countercultural artists and designers of the 1960s and ’70s have influenced their work and thinking today. Here Fritz Haeg discusses the Cockettes. 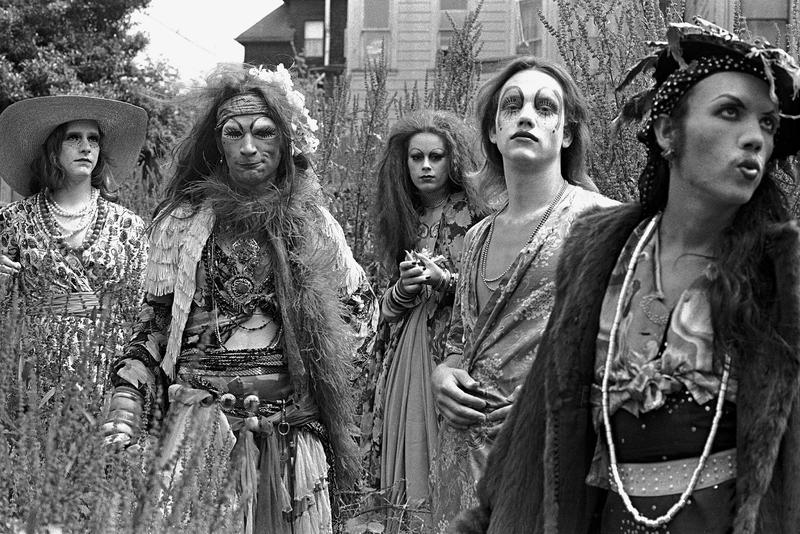 When the anarchic gender-queer theater troupe left the warm circle of their Haight-Ashbury commune for a much-anticipated East Coast debut performance at the Anderson Theater nearly 45 years ago, everyone was there: Liza, Candy, Holly, Andy, John, Yoko, Gore, Truman, etc. But something fundamental was lost in translation from their West Coast hippie amateur anti-money free-for-all community across the continental chasm to Manhattan’s professional circles of downtown cool, and many of New York City’s coolest walked out before the show was even over. Fayette Hauser, The Cockettes in a Field of Lavender, 1971. Photo courtesy the artist. To them the Cockettes were unprofessional, unrehearsed, and unskilled, qualities that endeared them to their regular hometown audience at San Francisco’s Palace Theatre. What happens when culture is formed, nourished, and developed so thoroughly in one place, for one particular community, at a certain moment, that it may not be fully appreciated or understood once it leaves? What is lost when work is made to travel, for any place, any one, any time? Today’s global art world can give us many things, but it also takes away some of the most precious and intimate moments of making and experiencing art. Bud Lee, Lendon, 1971. Courtesy Sergio Waksman. I have occasionally experienced chasms of misunderstanding when my own work has traveled from the east side Los Angeles community that nurtured it to institutions that commission it for the crowds. It can feel like a failure to connect, but sometimes I think of the Cockettes and want to dig in and resist—perhaps to stubbornly create work that is not quite cool enough, and slightly indigestible to the global industrial art complex. 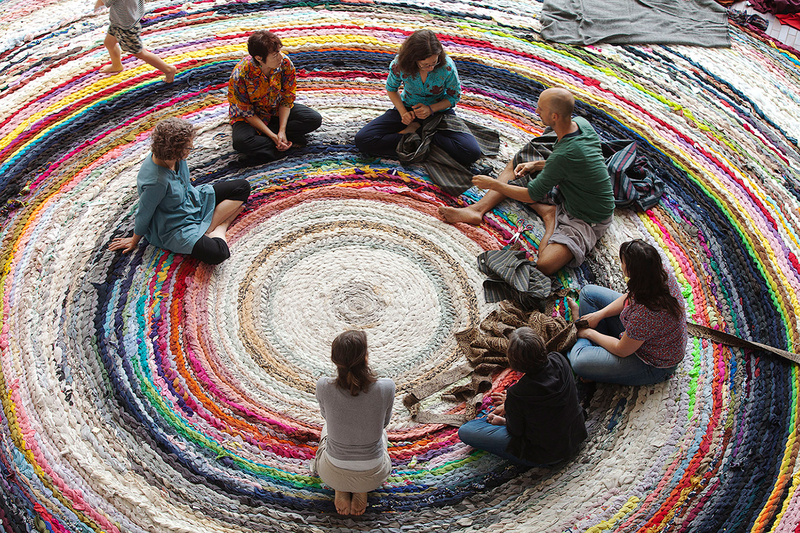 Fritz Haeg (at right) creating Domestic Integrities A05, a 30-foot handmade rug, with volunteers at the Walker in 2013. 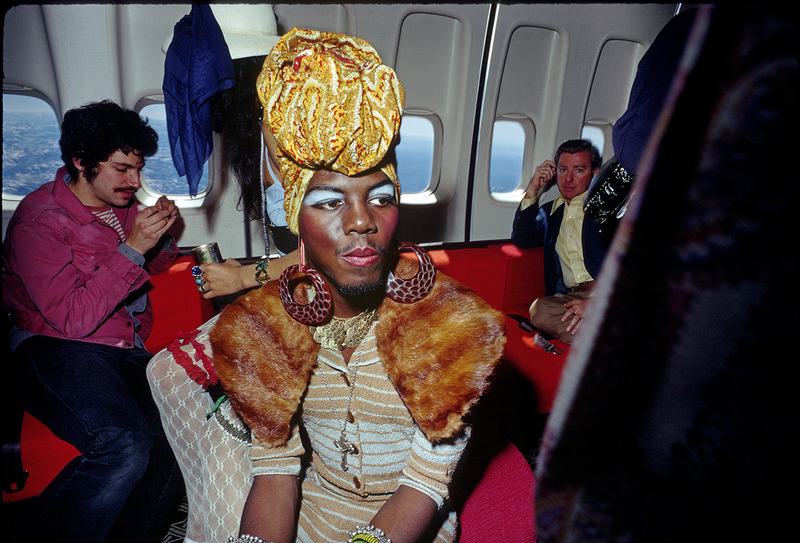 Photo: Gene Pittman. Fritz Haeg is an artist based in California. With the 2013 Walker Art Center residency, exhibition, and public projects Fritz Haeg: At Home in the City the Minnesota-born artist came back to his roots to conclude a decade of of serial projects including Edible Estates and Domestic Integrities. In 2014 he began new chapter of life and work on California’s Mendocino Coast with the purchase of the historic 1970’s commune Salmon Creek Farm, being revived as a long-term commune/farm/homestead/art project.